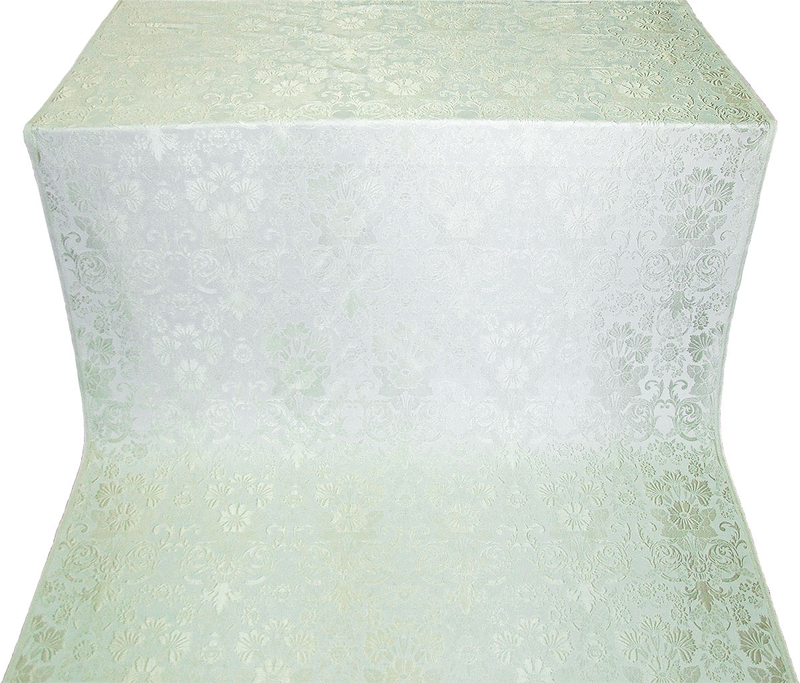 Gloksiniya metallic brocade (white/silver) - Istok Church Supplies Corp. Excellent metallic brocade, BG1 class. Width: 59.1'' (150 cm). Repeat size: 9.8''x29.1'' (25x74 cm). Composition: 35% metallic thread, 30% poliephir, 35% acetat. Price shown is per 1 meter.